WISHING TREE by Polygon. This corner end unit Townhome features 3 bedrooms 2.5 bathrooms. 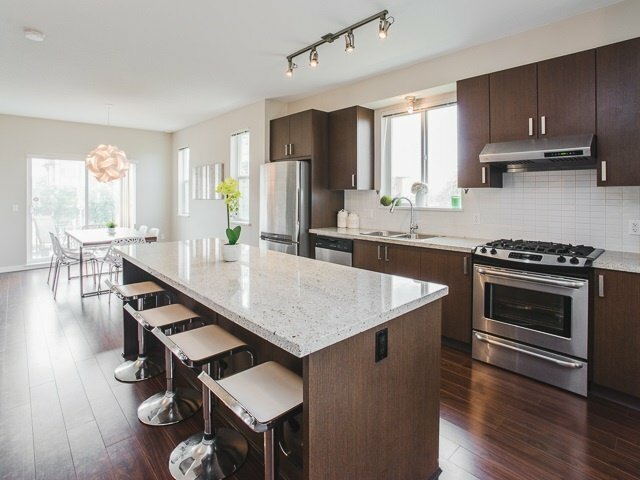 Amazing main floor layout w/ 9 ft ceilings, open concept kitchen, living & dining areas. A massive kitchen island makes entertaining a dream. Extra large tandem 2 car garage. Quality finishes; granite counters, stainless appliances w/ gas stove, front load washer/dryer. Tons of natural light w/ plenty of windows in 3 exposures, North, South & West. Conveniently located in Central Richmond, just steps away to Central at Garden city w/ restaurants, groceries, shopping, schools, parks & transit nearby.